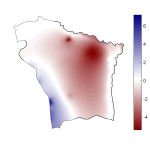 Matlab colormaps are usefull to display continuous spatial information. 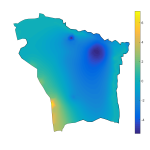 More about colormap usage and options can be found under Matlab help file https://www.mathworks.com/help/matlab/ref/colormap.html. However there are cases where the default colormaps are not sufficient. For example the figure below shows the hydraulic head trend over an 80-year simulation. For the areas with positive values the groundwater table is rising while in the areas with negative values the water table drops. 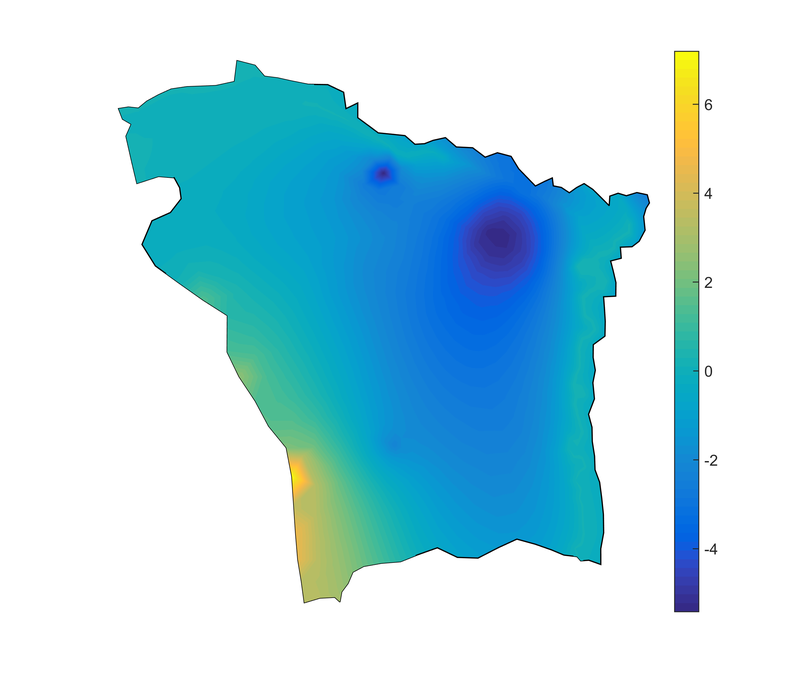 However using the default colormap is not easy to distinguish these areas. To improve the figure we are going to modify the colormap so that the color at value 0 is white, while the positive values will have a blue gradient from deep blue to white, and the negative values a gradient from white to deep red. In my example cmax = 7.2 and cmin = -5.4. We can also set our own custom limits for the colors by setting ax.CLim = [-5 8]; . This will make the cmin = -5 and cmax = 8. 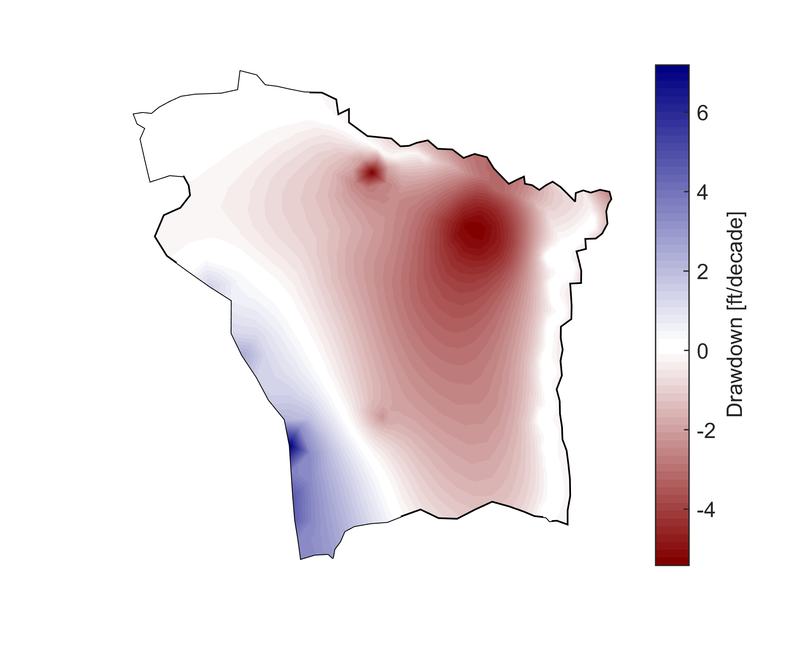 This is very useful if one wants consistent colormaps between different figures with different range values. Next we’ll create a variable that has values that range between cmin and cmax and identify the last row that is negative. In my case that was the 28th row (id = 28). custom_map is a 64×3 matrix. The columns correspond to the R, G and B normalized color values. In the above map we can easily distinguish between the areas where the water table rises or drops.